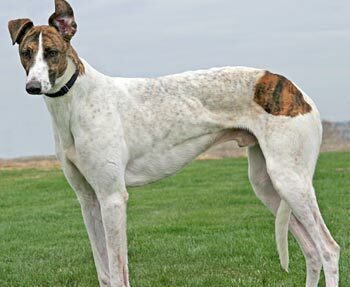 Rootbeer, aka Infinite Rider, is a 3½-year-old, white and brindle male born October 2, 2006. His sire is Teamster, making his grand-sire the late, famous Molotov, and his dam is USS Victoria. 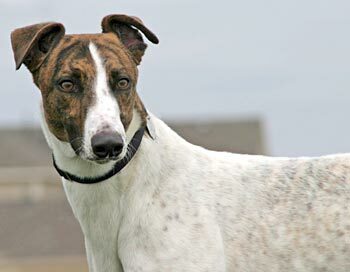 Rootbeer has 10 career races starting February 4, 2009, at Derby Lane in St. Petersburg, FL and ending April 14, 2009, at Flager in Miami, FL. He came to GALT from a farm closing. Rootbeer is cat tolerant, but has not yet been tested with small animals. Not only does Root Beer look like his name - a big, frothy mug of root beer - but he is also a very affectionate, lovable lug. He often reminds me to look away from my computer by laying his big head on my arm for some TLC. Root Beer is also what we call a “Velcro dog.” He wants to be where you are and will walk closely by your side through the house or in the yard. Root Beer loves to play! He’s not hard on squeakers, but most of the soft toys have already been squeaked to death, so he just tosses, pounces and shakes them. He does like the harder plastic squeaky balls, since they do still make noise. His favorite, which he picked out at a pet supply store himself, is a furry, tough squeaky ball. It was a little pricey but worth every dime to watch his joy! He used to try to play with the cats during these enthusiastic moments, but after a few weeks of kitty etiquette training he now leaves them alone. Also, he can be a bit protective of his bed and toys with the other dogs, so we don’t recommend him for a home with toddlers. Otherwise, he loves to play with his foster siblings. Root Beer rides beautifully in the car and is always enthusiastic about getting to go for a ride. He also crates nicely and knows that good things come to dogs in their crate. He pulls a bit on walks, but eventually calms down and stays close. 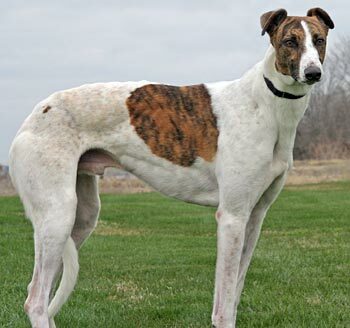 The pulling on-leash usually works its way out over time, but some active training will be an excellent bonding experience for someone so thrilled to have this big, happy boy in their lives.